U.S. Soccer's membership will pick the next president to succeed Sunil Gulati at its National Council Meeting on Feb. 10 in Orlando. But just how will the election work? Here's an updated primer -- who votes, how the votes are weighted, who oversees the voting and how the winner is determined. 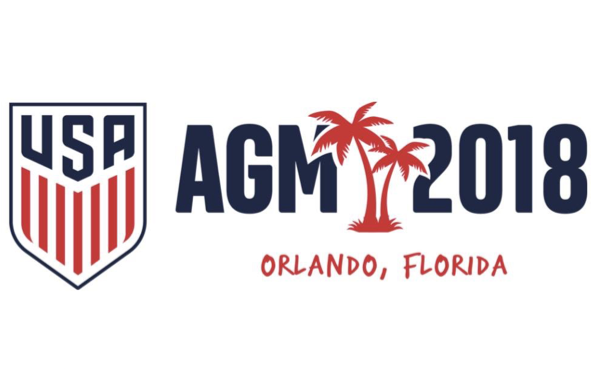 Much of the information is available from U.S. Soccer's election FAQ and its by-laws, but it also includes information from a seven-page abstract sent to the eight candidates as well as the Credentials Committee report at the 2017 National Council Meeting in Maui, both of which Soccer America has seen. -- By Federal law, athletes of any national governing body (U.S. Soccer's Athletes Council) get 20 percent of the vote. -- The three other Councils (Youth, Adult and Professional Council) have equal shares of the vote. -- The equal one-third shares of the three other councils are slightly diluted by the single votes of miscellaneous members: national associations and affiliates, board members, life members (up to 12 total votes) and as of 2018 two fan representatives. What's the allocation of delegates for the four councils? -- To give equal weight to the votes of the delegates from the three non-Athletes Councils, the multiplier is 1 for the council with the most delegates, and the multipliers for the other two councils are the number of delegates from the council with the most delegates divided by the number of delegates of each the other two councils. -- To give the Athletes Council 20 percent of the vote, the weighted vote totals of the three other councils plus the miscellaneous members are added together and divided by four. That weighted number is the total votes the Athletes Council gets, and the multiplier for delegates on the Athletes Council is the weighted number divided by the number of delegates in attendance. Total: 1,134 votes --> 568 simple majority, 756 2/3 majority. 43.16 AYSO and U.S. Club Soccer. ((TWV/.8) - TWV)/AD rounded off to two (2) decimal places. -- An individual can cast all or part of an organization member's votes having more than one vote so long as that share of the total votes is not more than 2 percent. -- Delegates must vote in person (no proxies). -- Delegates must vote in only one capacity (delegates with multiple roles would include board members, life members and commissioners). -- Information on the delegates is not available to the public. To receive updated lists, candidates are required to indemnify the federation that they won't be used for any reason other than the election. -- Tabulating the votes after each round of balloting. -- Tony Falcone (Md. State Soccer Association, president). -- Siri Mullinix (Clemson Univ. women's assistant coach, former U.S. international). -- Kathy Zolad (Conn. Junior Soccer Association, former president). 1. Each delegate uses the keypad with numbers 1-8 to vote for his or her candidate. The keypad is programmed to take into account the delegate's voting strength. 2. If no candidate has a majority -- 50 percent + 1 -- of the weighted vote, there will be a 10-minute break or “caucus” session for candidates to meet with their supporters, and a second round of voting takes place. 1 comment about "Nuts and bolts: How U.S. Soccer's presidential election will work". Wooden Ships, January 7, 2018 at 10:36 a.m. Thank you very much Paul. There had to be hours of work putting this together. Now, where did I put that aspirin?